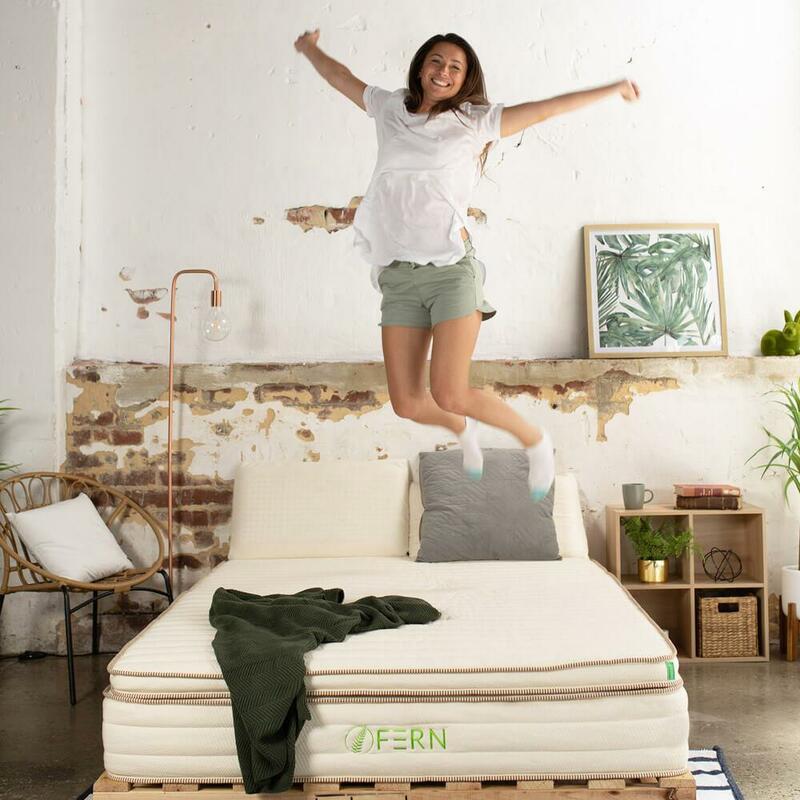 We wanted to deliver the highest-quality and most eco-friendly mattress that Australia had ever seen, yet it had to be affordable enough for every person. It had to contain the most natural latex in the world and be free of any synthetic latex or fillers. It had to carry leading international health certifications to ensure it was completely safe. It had to meet several performance and aesthetic standards that we set. Long story short… We succeeded. 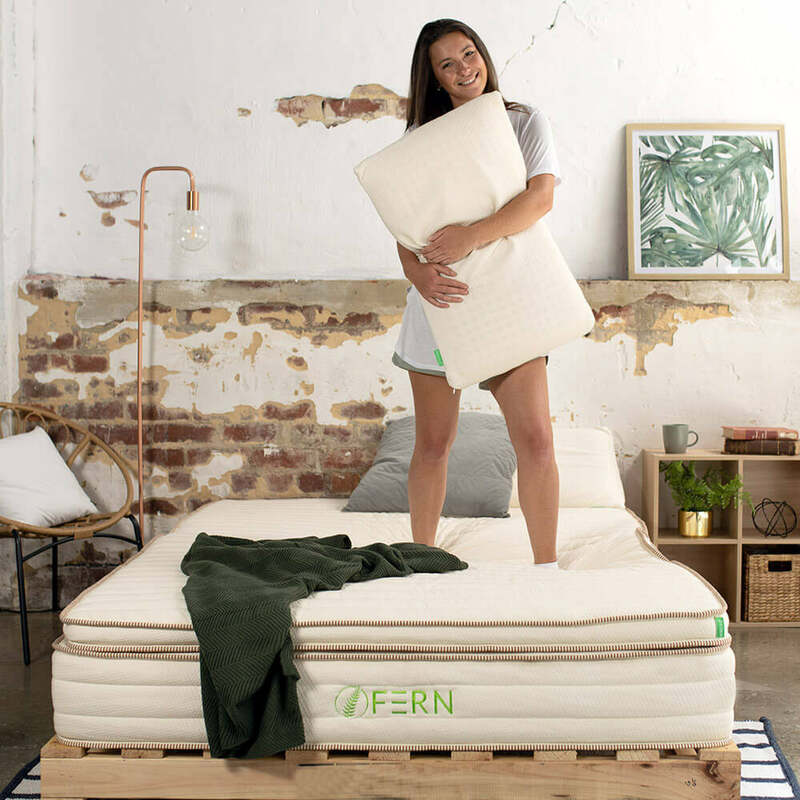 A Fern Green Mattress is made with only the finest natural and organic materials, including 100% natural Dunlop latex from rubber trees in organic plantations with sustainable practices. 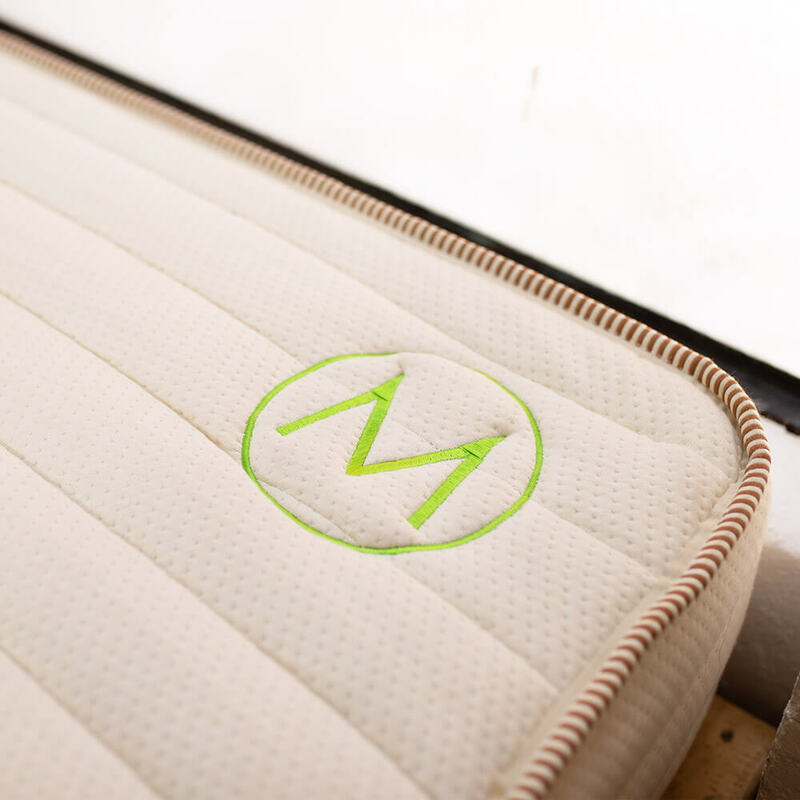 Our mattresses are free of polyurethane foams and off-gassing memory foams. It contains only natural latex and absolutely no synthetic latex, fillers or fire retardants. Natural latex is a natural resource with physical performance properties that far surpass memory foam and synthetic latex. Our latex is not made from petrochemicals, like memory foam, but instead from natural rubber sap and is washed in fresh water. Latex is known to last far longer than memory foam which our 25-year warranty confirms... (much less landfill waste). 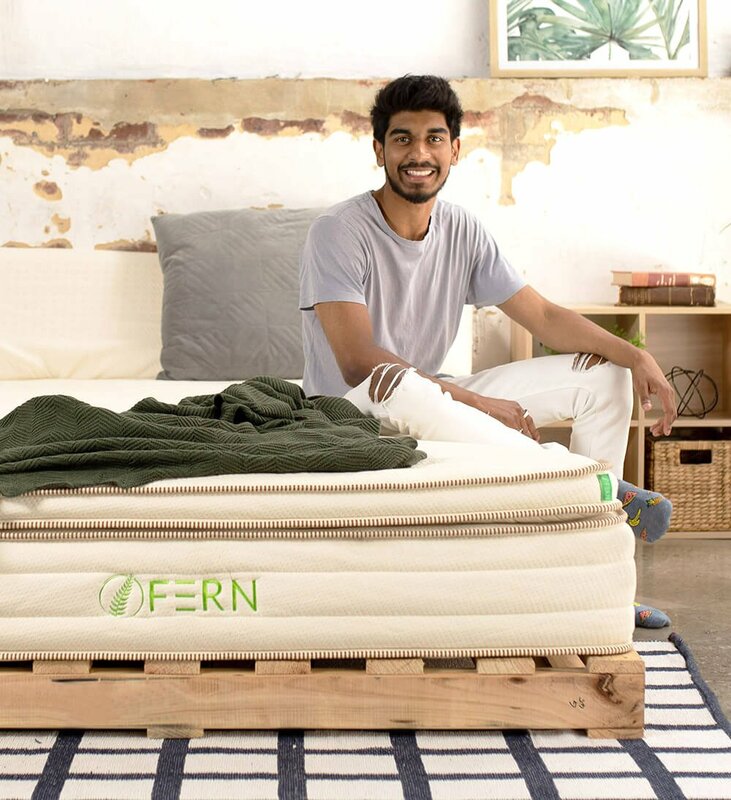 You won't have a feeling of sinking into your mattress, but instead long-term quality pressure relief. Latex has an open cell structure and thousands of pin holes to allow for easy airflow and cool sleeping: it is antibacterial and mould/dust mite resistant. On average latex mattresses have 3-5 times less returns than memory foam mattresses. Latex has a 1-2% return rate compared to a 5-6% return rate with memory foam mattresses! 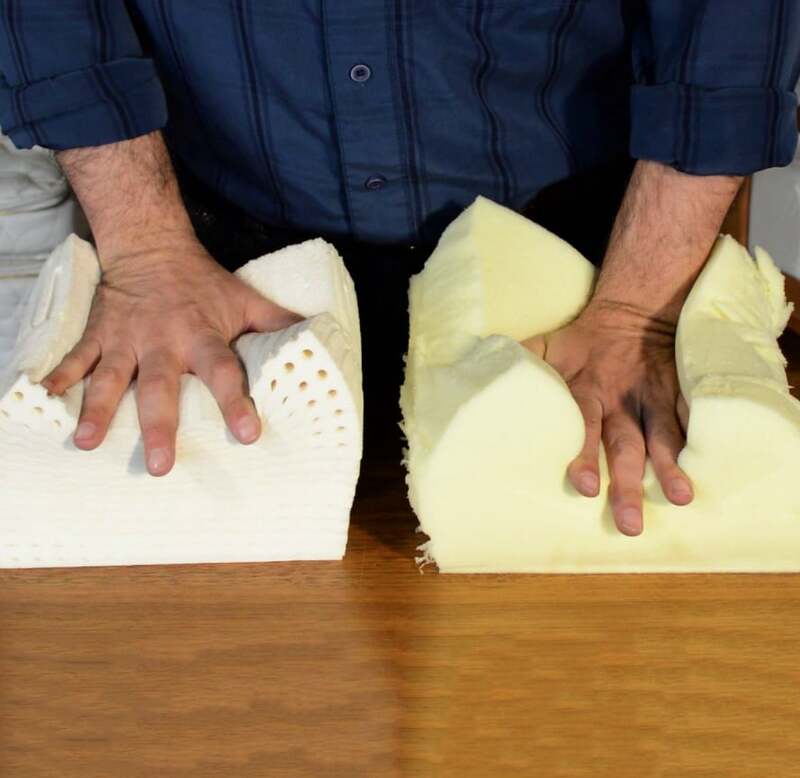 In our quest to create the perfect latex foam, we came across many versions of latex foam that had individual elements of the aesthetic and performance standards that we were looking for. It wasn’t until we started working with our Sri Lankan counterparts that we were able to create a product that combined all of these elements into one product. The natural latex foam industry in Sri Lanka is one of the oldest in the world, and our partners are truly artists who have perfected their craft. 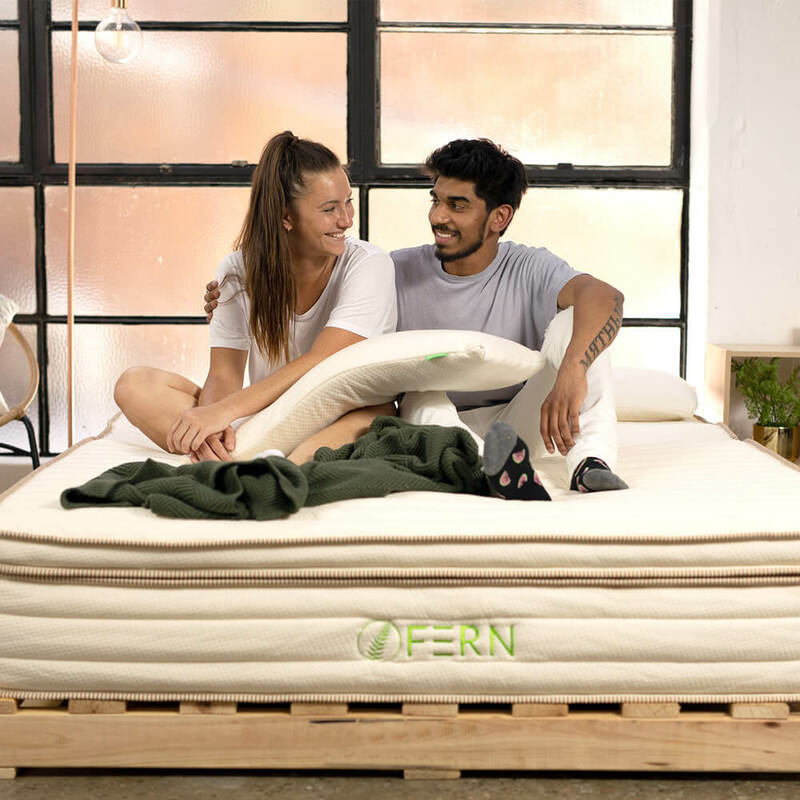 Every Fern Mattress, topper and pillow is certified by both Oeko-Tex and eco-Institut, the world’s leading independent textile emissions testing bodies. It means they’re scientifically tested to meet some of the world’s most rigorous emissions standards for chemical exposure and pollutants, such as volatile organic compounds (VOCs), formaldehyde and phthalates. Our foam carries a Class 1 certification from Oeko-Tex, the most stringent class - which very few mattresses and pillows qualify for. To complement our premium materials and craftsmanship, we offer an industry-leading warranty. Most mattress warranties heavily prorate their coverage, starting in the first couple of years. Not us. We warranty the first 10 years with full replacement value before an additional period of prorated coverage begins for 15 more years! 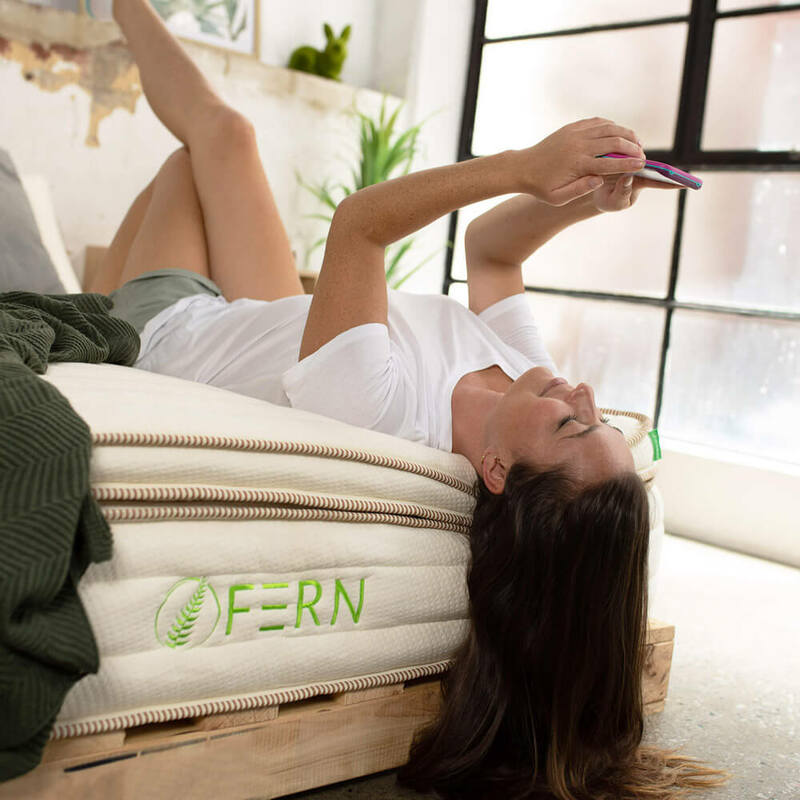 Try Fern Green Mattress, risk-free. Get it now using either AfterPay or ZipMoney. You spend over a third of your life in bed. Why not spend it sleeping safely next to nature? With the growing popularity of online shopping, going completely package-free is not always an option. Try these fun and creative ways to recycle and reuse for a happier, healthier planet. Energize your morning by whipping up a nourishing matcha latte using detoxifying Hawaiian Spirulina, digestion-friendly cinnamon and creamy coconut butter. Learn more about how your gut health can seriously impact overall wellbeing and get our five tips on how to restore a healthy gut.